At Print4London.com, we do a lot more than simply print your documents. We maintain control of the quality of your print throughout the whole print process, so you can be certain that we will consistently meet high standards. Our Automated, Integrated Marketing tool that merges your print products with online campaigns, allowing you to track and analyse your marketing campaigns in one dashboard. Design and database management from an experienced team in our own state of the art studio. Traditional high-quality lithographic printing (also known as offset printing) on modern machines in full colour and onto a wide range of papers and boards. Print personalisation on the latest machines from Canon in both black and white, as well as in full colour. Book binding, including saddle stitching, perfect binding, folding and drilling are just a few of the finishing operations carried out in-house at Print4London.com. 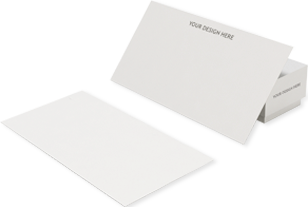 Direct mailing to your clients from our mailroom team. Approved for Royal Mail Mailmark, we have access to postage discounts for 1st and 2nd class. As a mailing house, we distribute to both the UK and Worldwide. Whatever you need, Print4London.com will have a solution for you. Get in touch with us by phone on 0800 917 6377 or email us at hello@print4london.com.